Have You Replaced Your Timing Belt Lately? Most timing belts should be replaced every 50,000 to 60,000 miles. The timing belt is an essential part of the engine. If your timing belt breaks your engine will stop working and could cause major engine damage. Timing belts can fail without warning. Its important to change the timing belt at the vehicles manufacturer's recommended intervals. Where are the timing belts located? How do I know if my car a timing belt? 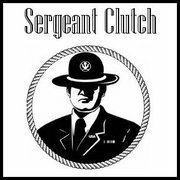 Sergeant Clutch Discount Auto Repair Shop in San Antonio, Texas has the experience to properly replace your vehicles timing belt.